Home Course features Real Club de Golf El Prat – Stature As One Of Spain’s Brightest Stars Continues To Soar. 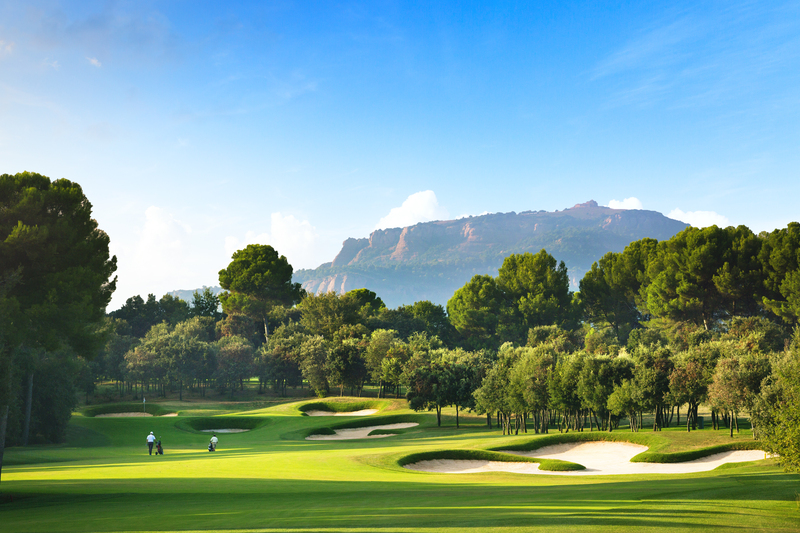 Real Club de Golf El Prat – Stature As One Of Spain’s Brightest Stars Continues To Soar. 7 months ago by Bernie McGuire Comments Off on Real Club de Golf El Prat – Stature As One Of Spain’s Brightest Stars Continues To Soar. Real Club de Golf El Prat, already considered one of the continent’s most prestigious golf courses, has further cause for celebration after making an impressive gain in Golf World magazine’s coveted ‘Top 100 Resorts in Continental Europe 2018’ rankings. El Prat, which has hosted the Spanish Open on 10 occasions, moved up three places to 16th position in the updated list of the continent’s top-rated golfing venues. The esteemed club offers a mouth-watering choice of 45 holes, while agreements with an array of hotel partners including in the vibrant city of Barcelona makes it the perfect getaway for players who are looking to combine superb golf with a city break. El Prat is one of the oldest clubs in Spain dating back to 1912, and has hosted some of the biggest names in the game, including Spanish legends Severiano Ballesteros and José Maria Olazábal, eight-time Major winner Tom Watson and European Ryder Cup captain Thomas Bjørn. The Real Club de Golf El Pratt. 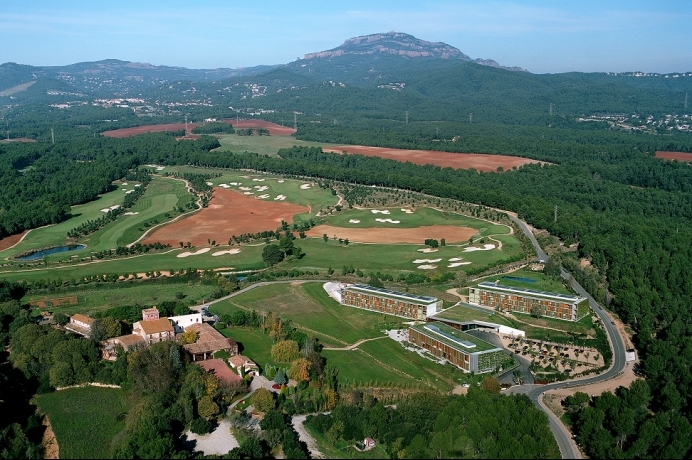 Situated just a 35-minute drive from the Catalan capital of Barcelona, the famous Spanish venue is one of only a small number of clubs to have been granted royal status by King Alfonso XIII, with its vast layout stretching across the 518-acre estate of BonVilar since 2002. And El Prat is going back to its roots from mid-November by offering guests the opportunity to play the highly-acclaimed Pink “Open” Course that was originally designed by Greg Norman, as well as its popular Yellow Course. The iconic Pink “Open” Course is widely regarded as the best layout at El Prat and was ranked fourth in US magazine Golf Digest’s latest list of the best courses in Spain. El Prat was recently named one of the 125 Platinum Clubs of the World – Five-star Private Club – in recognition of attaining a standard of excellence by an international panel of experts, historians and connoisseurs in a confidential ballot, as well as being granted the Golden Plaque of the Royal Order of Sporting Merit. The course also offers a modern and lively clubhouse and top-quality practice facilities, in addition to a 300m driving range and a host of specialist short-game areas. 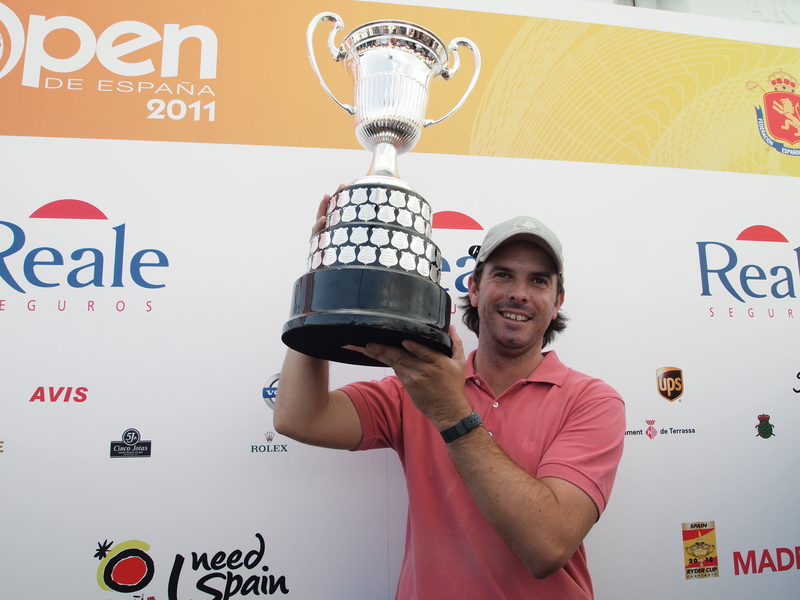 South African Thomas Aiken captures the 2011 Spanish Open at El Pratt and a day after Seve Ballesteros passed away. This famous club has hosted the Spanish Open on 10 occasions – 1956 (England’s Peter Alliss winner), 1959 (Australia’s Peter Thomson), 1963 Spain’s Ramon Sota), 1971 (South African Dale Hayes), 1978 Scotland’s Brian Barnes), 1981 (Seve Ballesteros), 1998 (Denmark’s Thomas Bjorn), 1999 (Sweden’s Jarmo Sandelin), 2011 (South African Thomas Aiken) and 2015 (England’s James Morrison). The 2011 Spanish Open at El Pratt will always hold a special place in my heart. I was in attendance that week reporting on the event for a number of UK and Irish newspapers when on the Saturday we received news that Seve Ballesteros had so sadly passed away. I can still recall the emotional moments when players, caddies, officials and the media gathered as one on the practice range later that Saturday morning on May 7th, 2011 for a minutes silence in memory of Seve. Spain’s Alvaro Quiros looked at one stage he might deliver what would be, and in the circumstances of Seve’s passing, an emotional ‘home’ victory but it was South African Thomas Aiken, and with his wife Kate on the bag, who was a worthy champion.